Located in the heart of Jimmy Carter Country, the elegant, one city block long Windsor Hotel is a luxury hotel in rural Southwest Georgia that is fit for a president. Fashioned after the finest 19th century European hotels, this 100-room, five story Victorian structure was built in 1892. Designed by Gottfried L. Norman and named for Americus resident and hotel investor John T. Windsor, the hotel was built to attract northern winter visitors and became the location of many celebrations and balls. After its opening on June 16, 1892, famous and noteworthy hotel guests included (in 1893) former heavy-weight boxing champion John L. Sullivan and William Jennings Bryan, (in 1896) American labor leader Eugene V. Debs, (in 1928) Franklin D. Roosevelt. As New York Govenor, Franklin Roosevelt spoke from the veranda adjacent to the hotel tower. Beginning in October 1990, the Windsor underwent a $5.8 million restoration to return it to its original grandeur. The Windsor reopened on September 20, 1991, with a celebration that included President and Mrs. Carter as guests. 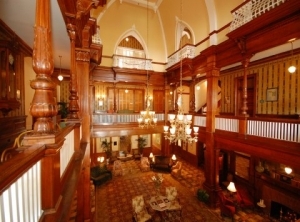 The restored hotel that now features 53 unique period style rooms and suites with all modern amenities, is the centerpiece of Downtown Americus. 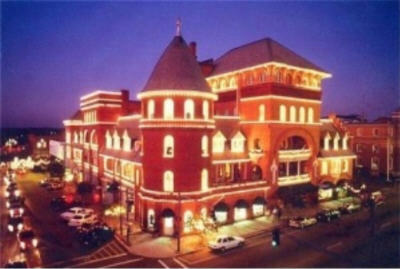 A national award winning and historic hotel, Windsor is only 9 miles from the Jimmy Carter National Historic Site in Plains Georgia. The hotel's Presidential Suite is named for former President Jimmy Carter, who along with his wife Rosalyn, visits the hotel for dining and meetings. 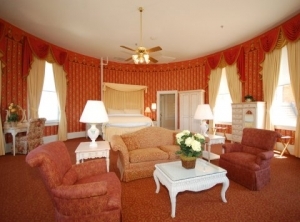 The Presidential Suite has a 360 degree view of historic downtown Americus. President and Mrs. Carter spent the night there in November 2002. For a list of current hotel amenities, click here. 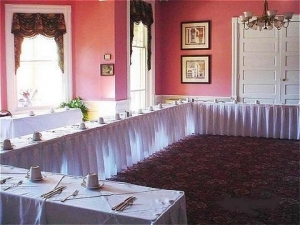 The Rosalynn Carter Tea Parlor of the Windsor Hotel is a perfect venue for bridal parties, baby showers and birthday parties. Rosalynn Carter Tea Parlor is the former location of Magnolia & Ivy, a tea parlor, tea emporium and antique gift shop. Magnolia & Ivy served The Windsor lunch, Presidential Tea, Cream Tea and Dessert Tea, and also held classes in scone making as well as tea & etiquette classes for children. 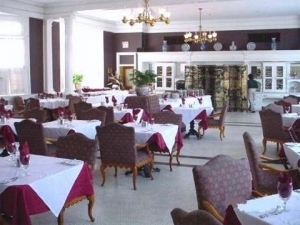 Rosemary & Thyme Restaurant serves American cuisine and offers breakfast and dinner. 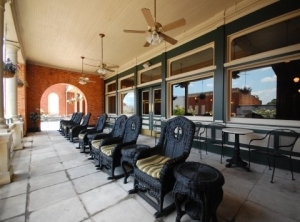 It overlooks Downtown Americus and features six bay windows. The restaurant also has rental space for wedding receptions, banquets and galas. Floyd's Bar is a pub that serves burgers, Shrimp Po' Boy, salads and sandwiches. The pub is named after Floyd Lowery, a former Windsor bellman and elevator operator, who did not drink. Relax and rejuvenate in Americus. Stay at Windsor Hotel. Enjoy tea from Kingdom Teas (formerly Magnolia & Ivy) available at The Maze. Treat yourself to spa services at Stone River Spa. Explore the attractions in and around Americus.